You'd be hard-pressed to find bigger fans of Leslie, Ron, and the "Parks" crew, but this week's Very Good TV Podcast offers an alternative to revivals. In the words of the great April Ludgate, “I don’t want to do things. I want to not do things.” And unlike picking up the slack at the Parks department for a campaigning Leslie Knope, sometimes not doing things is the right thing to do. 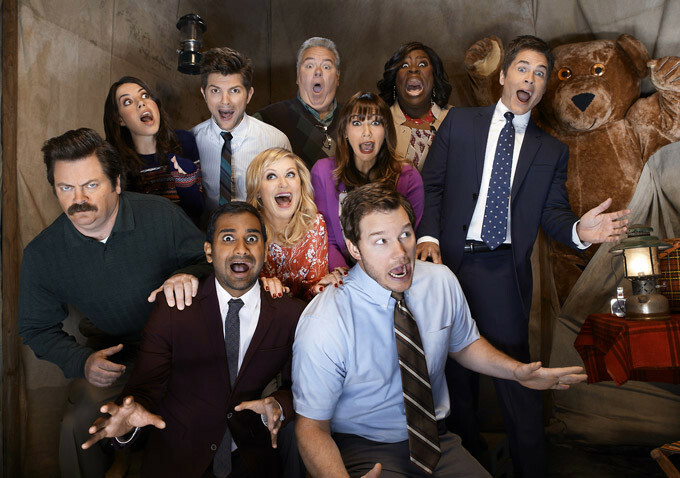 But a “Parks and Recreation” reboot, revival, or reunion is on the minds of many after members of the cast recently restarted the conversation. On May 22, Chris Pratt was asked on Twitter “which role brought you the most joy,” to which he responded “Andy Dwyer” (his “Parks and Rec” character) before saying he misses his “Parks” crew. A number of fellow cast members responded in agreement, including Rob Lowe, Nick Offerman, Adam Scott, and Jim O’Heir. Two days later, Amy Poehler was asked on “Ellen” if she would consider making another season of the show, to which she not only replied “absolutely,” but added that she’s certain her co-stars “would all do” more episodes. Much of the time, that’s all it takes. If the original cast is for it, then all the pieces are in place for a revival. But that doesn’t mean a revival is needed. Far be it from anyone to question the sound judgement of Poehler, Offerman, Scott, Lowe, Pratt, and the rest of the gang, but there are at least as many reasons not to revive “Parks and Recreation” as to do it. Adding to that ending wouldn’t just change the goodbyes — reworking history to add more to stories that already ended — but if the writers chose instead to fill in the gaps made from the time jumps, that would create a different show from the one fans remember. Though “Better Call Saul” has by and large pulled off this tricky feat, it’s hard to create any sense of drama (even the light stakes of a broadcast sitcom) when audiences know what will happen to the characters in the end. Finally, it’s important to remember what already changed about “Parks and Rec” in its final season. There was a time jump into a speculative future. Ann (Rashida Jones) and Chris (Rob Lowe) had left town, and there was an episode told through Andy Dwyer’s TV show, “The Johnny Karate Super Awesome Musical Explosion Show.” Season 7 was markedly different from the six that came before, and it seemed clear that the writers were interested in experimenting with form and formula; they wanted to try out something new. So why not do that now? Why not make a new show instead of reviving “Parks and Recreation”? Take the creators, the cast, and the crew and make something new with the people you love. Michael Schur has already shown he’s capable of breaking the broadcast rules with a creatively unprecedented comedy (“The Good Place”) and few would challenge the idea that every single cast member is capable of excelling with fresh characters. Tina Fey and Robert Carlock used a similar model with “Unbreakable Kimmy Schmidt,” and while the Netflix comedy hasn’t been as wildly successful as “30 Rock,” it’s certainly successful (and used many of the same cast and crew). On this week’s Very Good Television Podcast — a show named after Ron’s company on “Parks and Recreation” — IndieWire TV Editor Liz Shannon Miller and TV Critic Ben Travers discuss the “Parks and Recreation” revival, why they think a reboot might not be the best idea, and what else the cast and creators could do while working together again. Listen below.